Can easily adjust shutter speed for night shots and longer exposure. Lee demonstrates the ability to create photos with light trails from cars with the G4. He says no phone coming out this year has this feature. 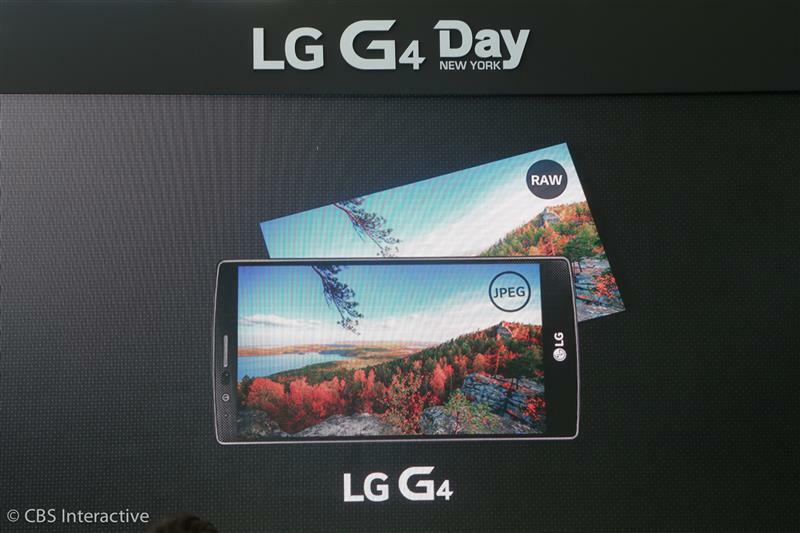 The G4 has a microSD slot, he touts. "Take as many raw photos as you like," he says. Touting microSD card slot as a way to deal with larger RAW file sizes. Makes sense. 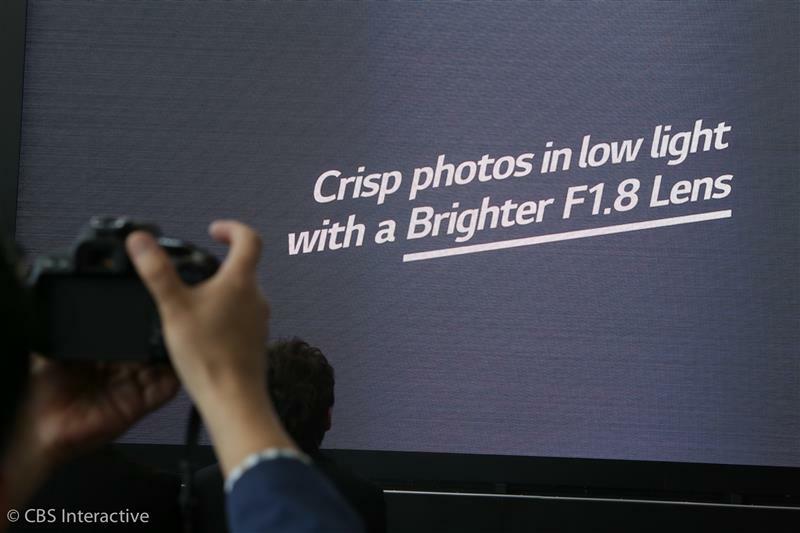 LG boosted the front-facing camera to 8 megapixels, he says. 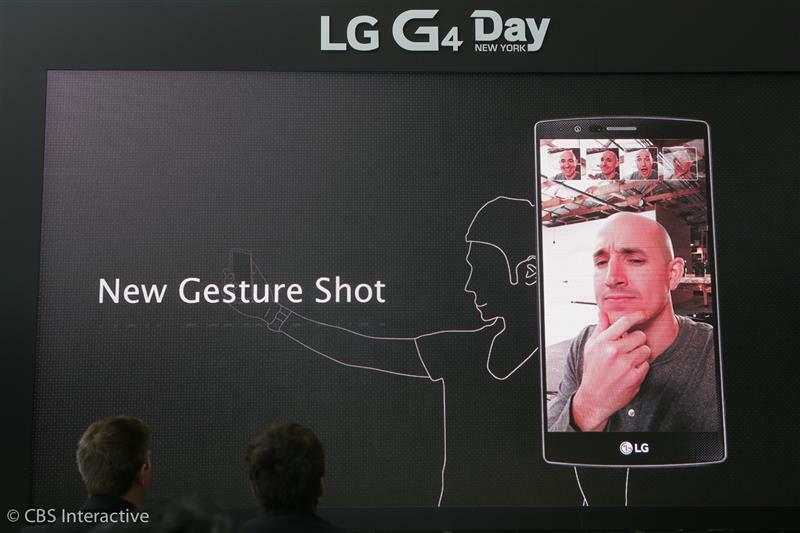 A new gesture shot allows you make a fist to activate a selfie cam. Shooting in raw format is really cool as raw files tend to save more data in a shot than jpeg, allowing you to tone down highlights or bring up shadows in editing tools after. Note that few Android apps support raw, so you'll want to import them into desktop software. Now on to the display. gesture-triggered selfies...I'm curious when I'd use that. Better than fumbling for button. 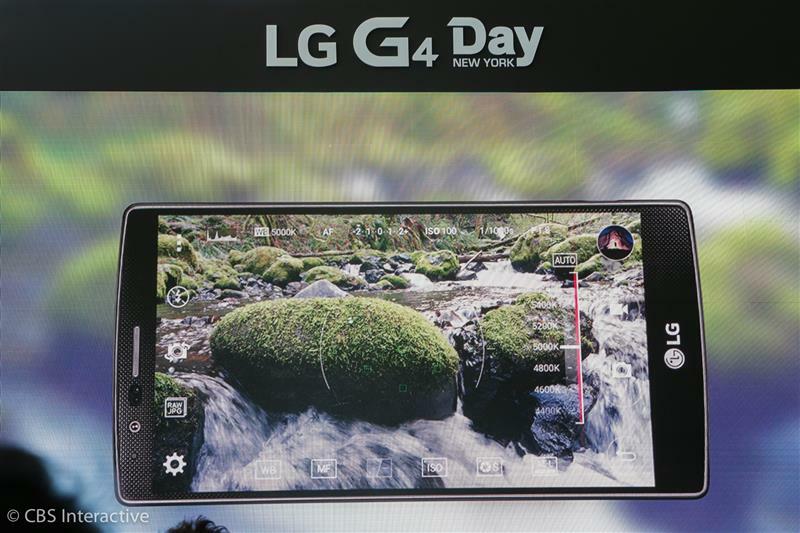 It's no coincidence that LG is touting its camera and display as key advantages. LG's sister companies LG Display and LG Innotek are the component suppliers. They also provide components to the iPhone. 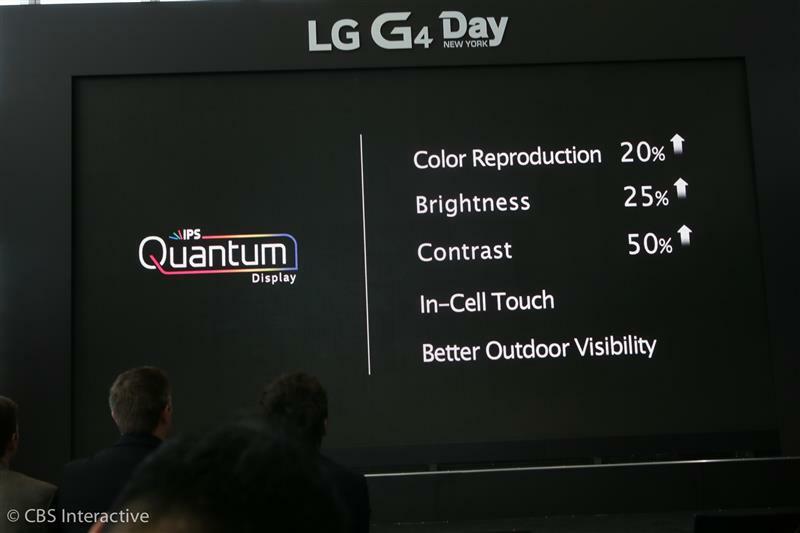 Lee now talking about the IPS Quantum Display. 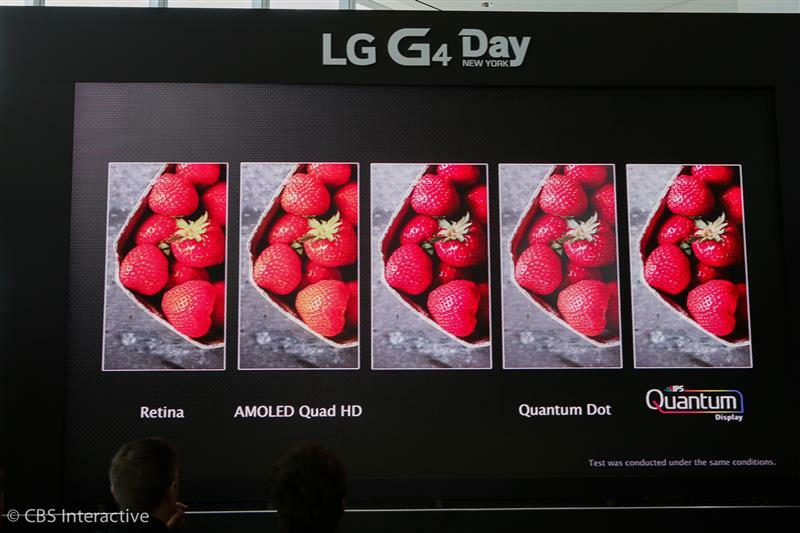 New IPS Quantum Display promises improved color accuracy, brightness, and contrast over last year. 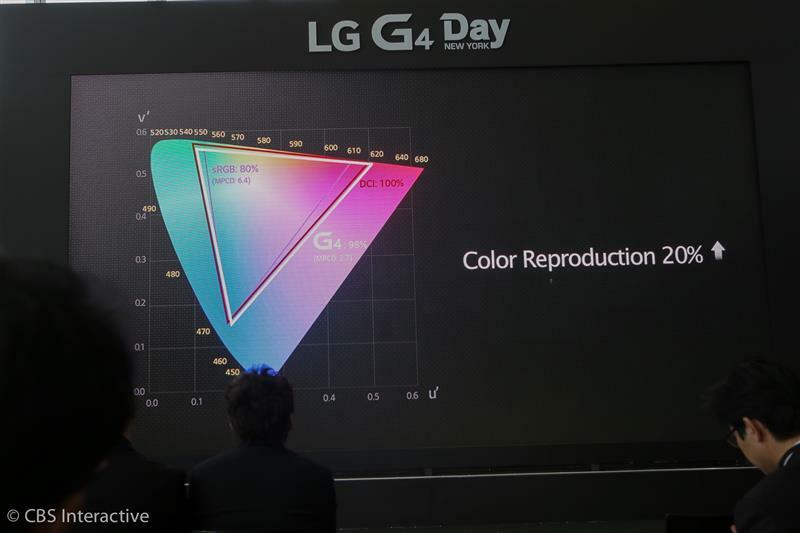 The G4 hits 98 percent of the Digital Cinema Initiative standard for color accuracy set by filmmakers. LG claims its way above any other phone in the market. Lee now going into a science lecture about pixels and colors. I barely understood this the first time around. ...I am a little lost here. 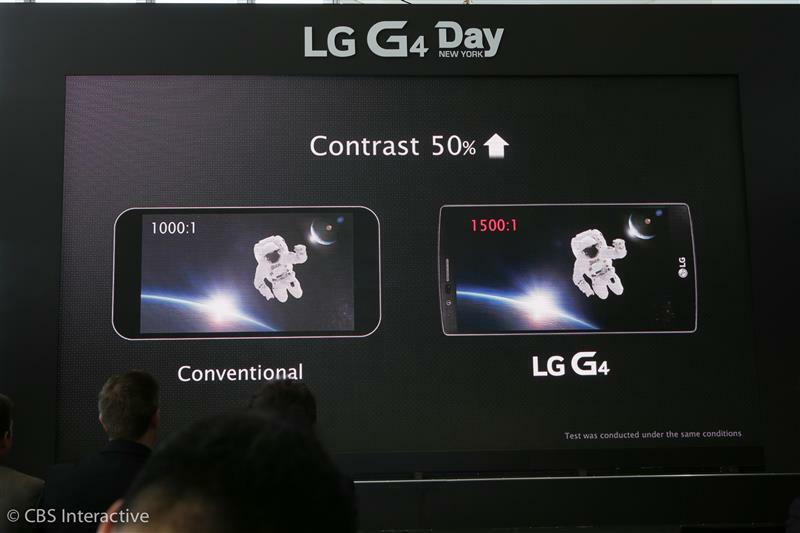 But the bottom line: 20% improved color reproduction, 25% brightness boost, and 50% improved contrast. 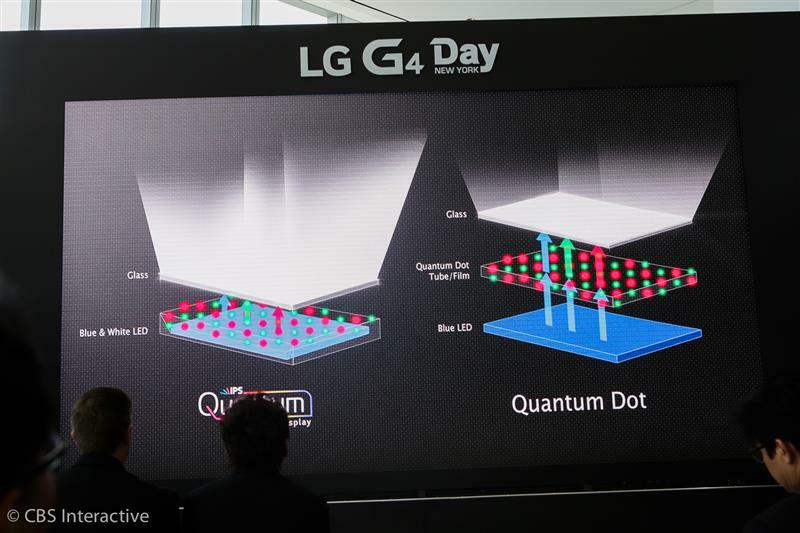 LG offers LG Quantum Display for the phone and LG Quantum Dot Display for televisions. 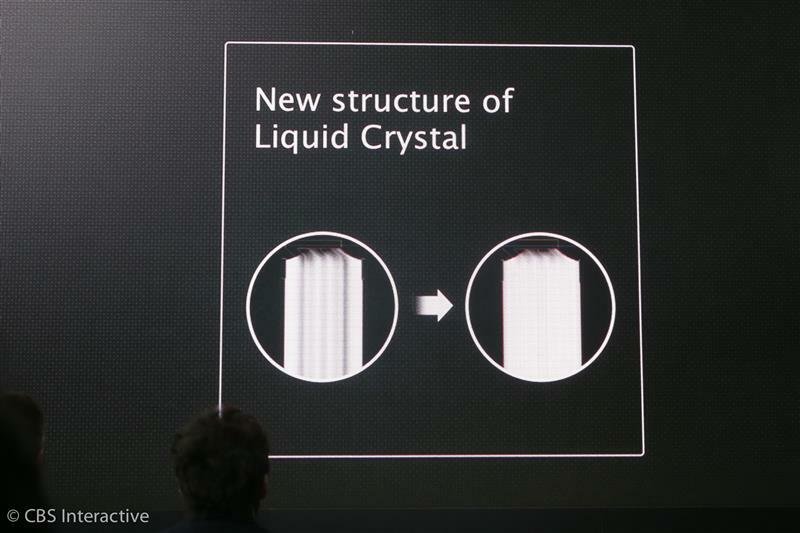 Lee sees the Quantum Display is a real step forward, he says. 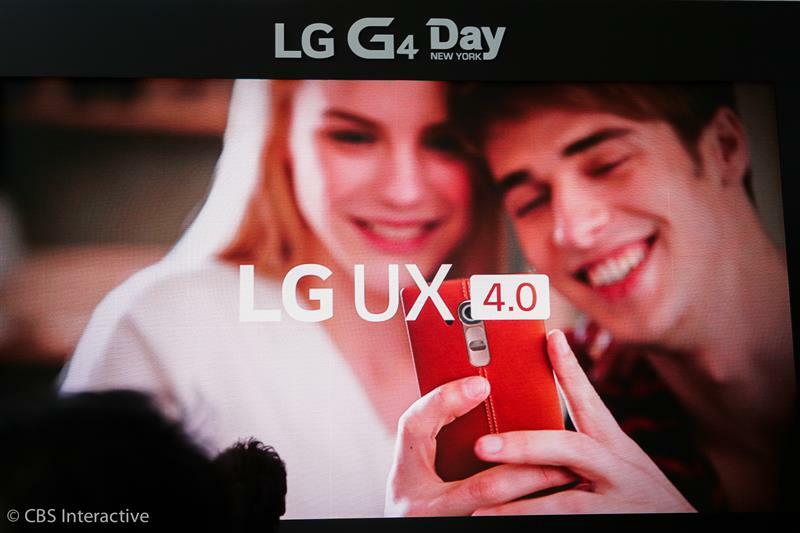 The G4 uses a special graphic RAM that puts the CPU to sleep when displaying a still frame. There's less battery drain, he says. LG sends you notification through Smart Notice to let you know of renegade rogue apps that are still drawing power when you're phone is off. 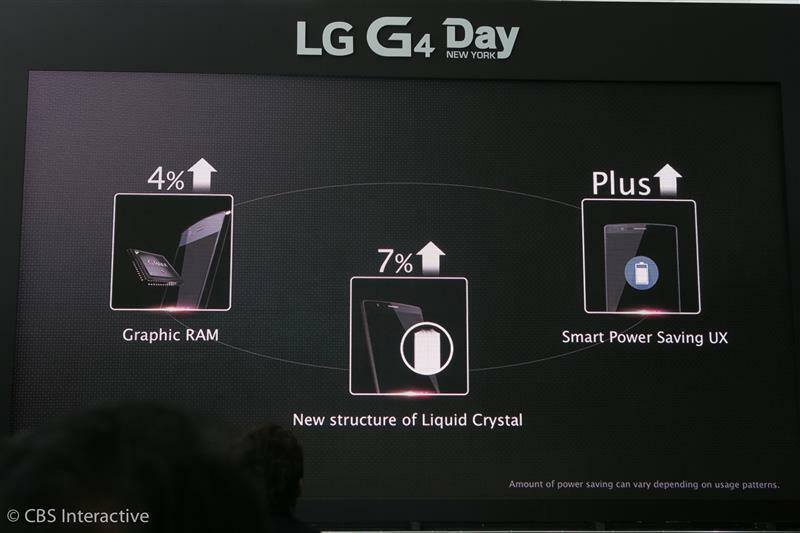 This results in 11 percent lower power consumption than the G3, he says. I've seen the display in person, and the colors are pretty amazing. I never knew that what I was seeing as red on a digital display was really a shade of orange. Now on to the user experience, or UX 4.0. New camera and improved display should combine to make photos look a lot better. Lots of times, people have problems distinguishing between display quality and photo quality on phones. It's designed with you in mind, he says. 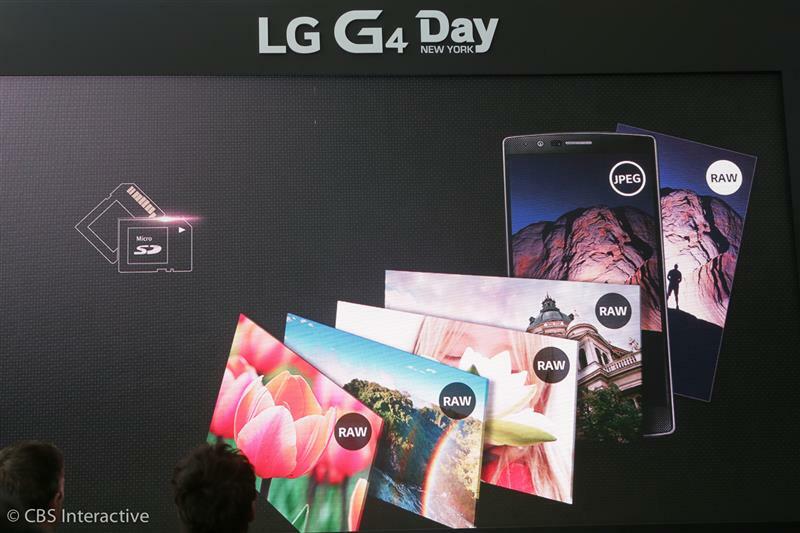 The G4 is simple to use, but it allows you to customize, he says. There's a memory feature that bundles photos from a single event. 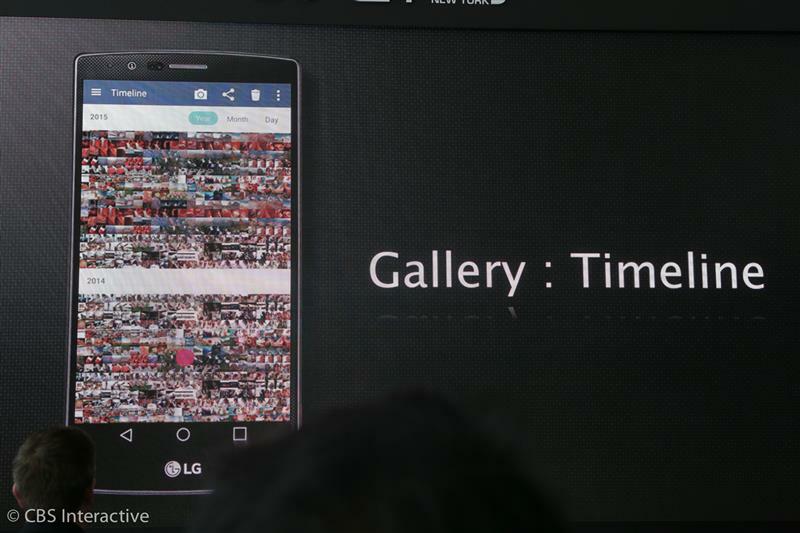 There's a timeline event that arranges your photos throughout time. 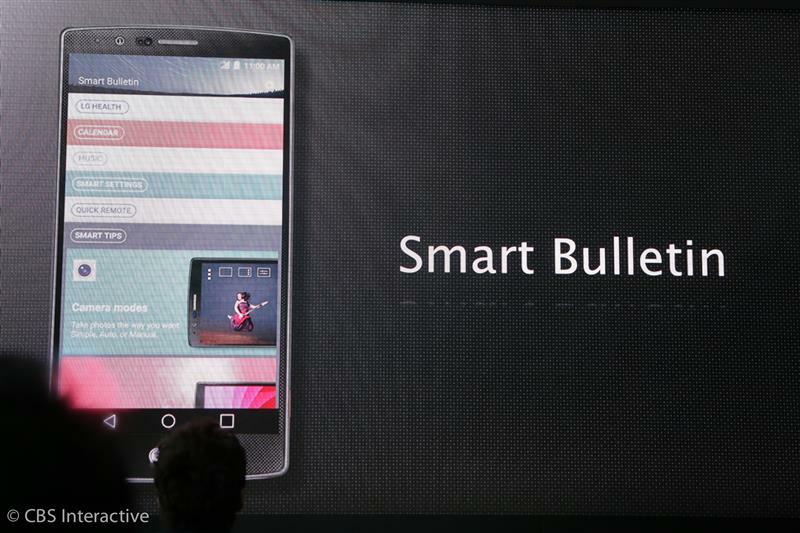 G4 has Smart Bulletin, which is a single spot for your app notifications and widgets.